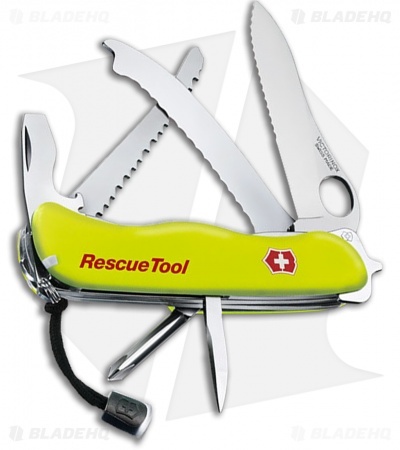 The Rescue Tool has been developed by Victorinox in close collaboration with fire and rescue workers. It can be operated with gloves and has luminescent handles. Crate opener and one-hand blade can be locked in place through Liner Lock.